When you visit a new area, do you use Yelp or other applications to find restaurants to visit? Yelp gives the High Hand Conservatory (website link) in Loomis, CA four stars, and TripAdvisor gives it four and a half stars. Traveling and Blogging Near and Far gives it five stars. To get to the spacious, moderately-priced cafe, you’ll weave your way through a beautiful nursery wonderland. We arrived at a good time, about 8:00 on a Saturday, after the early birds but before the late risers. Timing is everything. The food and service were so fabulous that I forgot to take pictures and enjoyed my meal. You can check out their menu on The TripAdvisor website. As much as I love food, the atmosphere made the experience unique. We ate in the covered courtyard, open to the garden vistas and could hardly wait to tour the outdoor and enclosed nurseries as well as the shops housed within the long metal building called a Fruit Shed. Have you ever bought a grocery-store succulent and two weeks later it turned yellow and the leaves withered and fell off? I’ve done this. Neither spritzing nor ignoring it seemed to halt the dropping leaves. If you enjoy succulents, you could pick out small ones and plant them yourselves at one of the outdoor stations. You could find more than unique gifts here. Classes for arts and crafts fill up quickly. We walked into one class, and several participants allowed us to photograph their gourd projects. For my quilting and knitting friends, one of the stores had plenty of “yard goods,” as my grandma used to call fabric. Loomis, CA would be a great place to schedule a retreat and come for classes or just to sew together. If you watch American Pickers, the cost of junkyard cars and parts seems out of range for the average buyer, but nothing draws attention in a professional garden or nursery like a great old car. The cars in this nursery did not have a price tag. To complete your home gardens, you could find fun garden art at High Hand. I loved the lasered shovel. Ideas are free. Hope you’ve enjoyed this brief tour of High Hand. Pictures don’t do it justice. 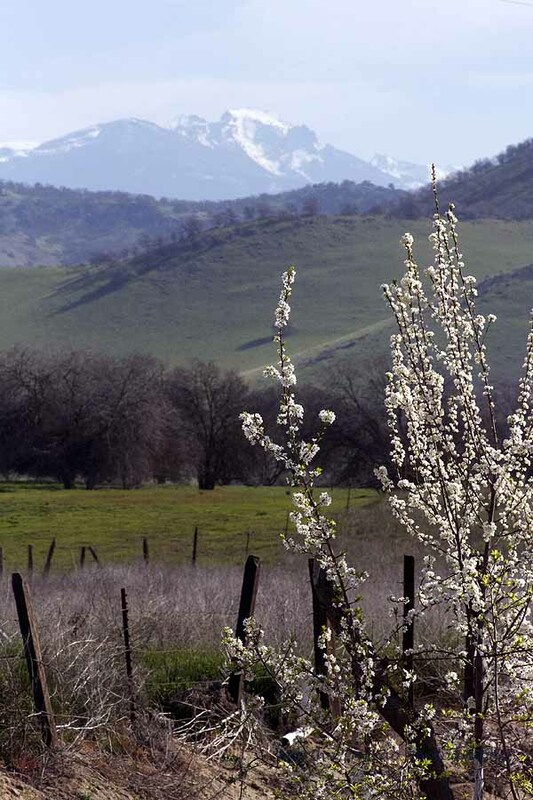 It’s only about a twenty-minute drive north from Sacramento to the small town of Loomis, CA. The two hours my family and I spent at High Hand went too quickly. I’m ready to go back. Want to join me? If you are interested in having one of these pictures as a puzzle, check out my puzzle website. If you have a picture from your travels you’d like to turn into a puzzle, you can make it yourself or send it to me, and I’ll set it up for you.